Action star Jackie Chan has taken to Twitter to encourage people to give to charity. “I see my famous American friends at the Hope for Haiti,” he wrote on his official Twitter page. "I donated 5 million RMB. Did you all help haiti yet? Donate now! “Everybody should help each other. There is too much fighting in the world. I like to see people unite… The only time I see people helping each other is when there is a natural disaster. I wish I was in america to help George Clooney and everybody. I hope this is the last time there is a telethon. No more disasters!" 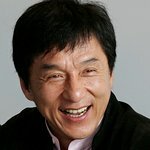 You can follow Jackie Chan on Twitter here.